Are you planning a trip to Walt Disney World this spring? If so, you are certainly in for a real treat! The parks become beautiful with spring flowers and you can enjoy the beautiful Florida sunshine without all that nasty, sticky humidity. While all the parks are fun, best time to go to Epcot is in the Spring. 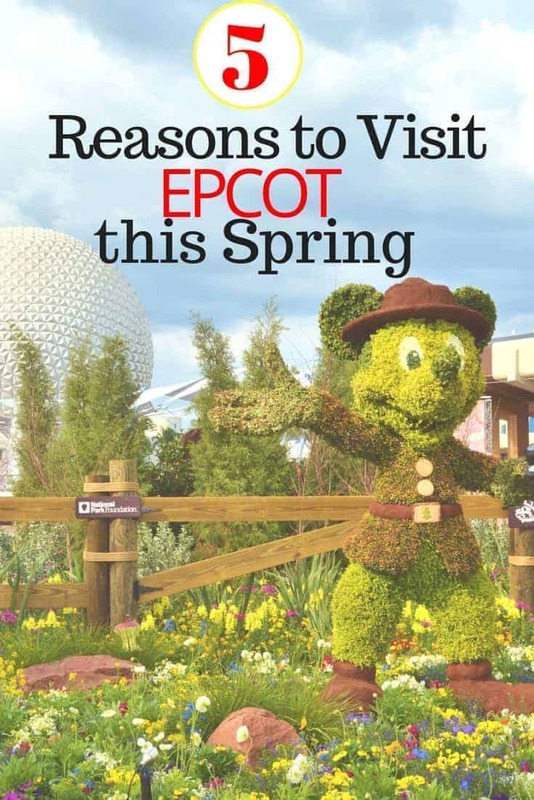 If you are unsure whether or not you are going to visit Epcot this spring, let me give you 5 reasons to go. 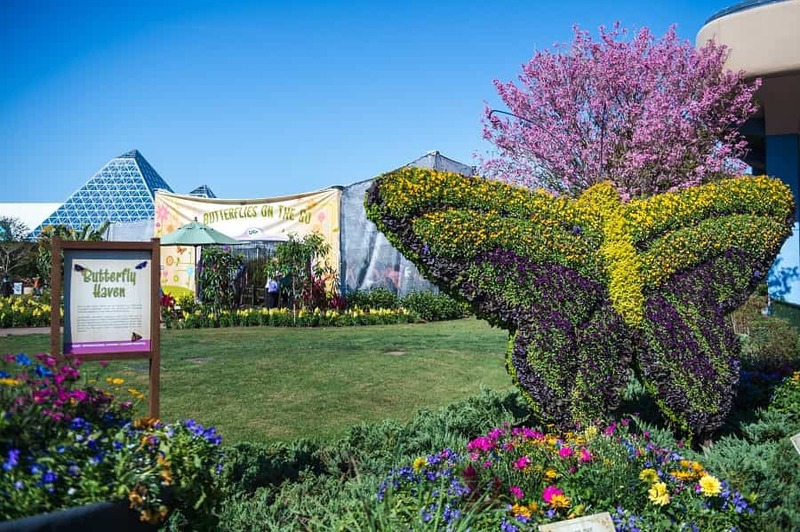 From March 6-June 3, 2019, Epcot transforms into a beautiful feast for the senses. You will find colorful topiaries featuring animals, insects, and even your favorite Disney characters. 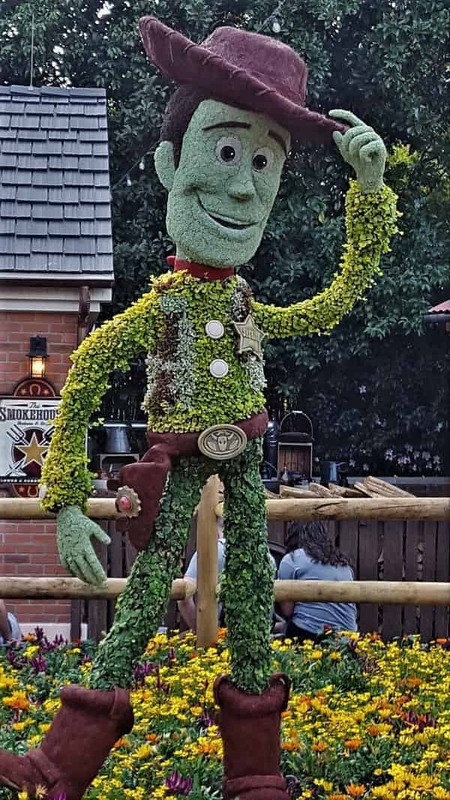 Be sure to look out for topiaries featuring stars from the new Disney movies coming out in 2019. Not only are their gorgeous flower displays, there are outdoor kitchens that offer guests the chance to try various types of cuisine. It is a great way to sample dishes from all over the world. We love to save our snack credits (from our Disney dining plan) so that we can eat our way through the different countries in the World Showcase. This is the only time of the year that you can interact with butterflies at Epcot. It is a lovely experience that the whole family can enjoy. For the price of admission to Epcot this Spring, you may get the opportunity to hear some really good music. This year, Epcot will have concerts nightly at 5:30 p.m., 6:45 p.m., and 8:00 p.m.
We’ve seen bands such as Night Ranger & Village People. It is always good fun to sit back & relax for an hour or so while enjoying your favorite beverage. Spike’s Pollen-Nation Exploration family scavenger hunt will have new locations to discover along the garden pollination trail. For a small fee, you can purchase an Eggstravaganza Easter Egg Hunt kit. You will then go on a quest to find all the eggs hidden in the World Showcase. In celebration of Disneynature’s “Penguins,” opening April 17, a 9-foot-tall art sculpture made from recycled marine debris will be on display in Future World featuring an adult and baby Adélie penguin. 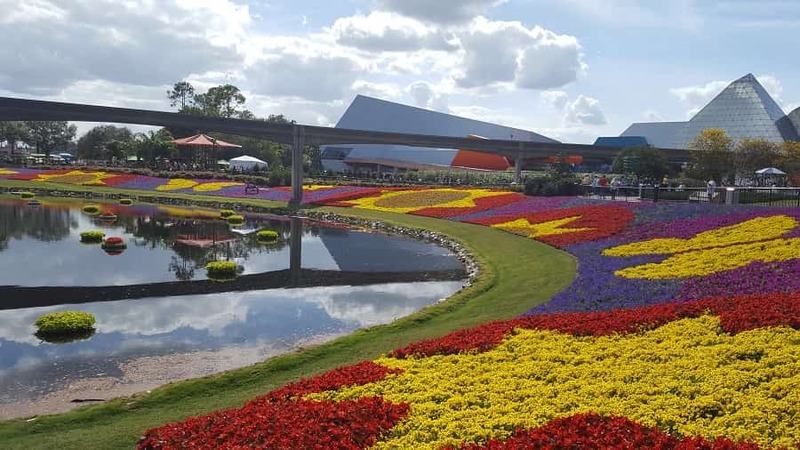 Hopefully this is enough to convince you to go to Epcot this Spring! Have you been to Epcot in the Spring? What was your favorite part? Wondering what you can look forward to experiencing during Spring in Epcot? Tons of wonderful events and festivities!